My participants are Mary and Vee. Mary is my family friend, who came to Canada in 4 years ago; Vee is my roommate, who came to Canada in 14 years ago. I choose them to be my interviewees because they are immigrants from China, so I want to study their fish shopping habit in two countries. This interview is translated from Cantonese into English. Jeanie: How long have you been to Canada? Jeanie: How many people in your household? Mary : 5, me, my husband, my daughters and mother in-law. Jeanie: Where did you live before coming to Canada? Jeanie: Did you go grocery shopping when you were in GZ? Mary : I did, but not that often; I usually went with my mom. Jeanie: How about in Canada? Mary : It's a must, because I need to cook by myself. western big chains ones or the Chinese ones? supermarkets, and then decide which ones to go. etc., depending on the weekly special. these two forms? That means you don’t always need fresh fish? and simmer the frozen fish. I think the frozen fishes are fresh too, but just in frozen way. live seafood, is that correct? Address: 16th Ave. and Woodbine Ave.
selling at supermarkets, I would like to invite you to do an interview. Vee : 2, me and my roommate, you. Jeanie: Alright, where did you live before coming to Canada? Vee : Rarely, but I will go with my parents. Vee : Well, I have too, because nobody will cook for me. the western big chains ones or the Chinese ones? supermarkets, like spaghetti, salami and cheeses. Jeanie: What are the Chinese supermarkets would you go? sometimes I will also go to Foody Mart, which is on Hwy 7. Vee : Live fish, lobsters, blue crabs. Jeanie:Do you change your taste after moving to Canada? Guangzhou is a sprawling port city northwest of Hong Kong on the Pearl River. Considered the birthplace of dim sum, it has a thriving food scene. Its markets specialize in wares ranging from eyeglasses to electronics. The sandbar Shamian Island, across a canal from Guangzhou, has leafy streets and grand mansions that are a legacy from its time as a foreign concession. Changchun is the capital and largest city of Jilin Province, located in the northeast of thePeople's Republic of China. Lying in the center of the Songliao Plain, Changchun is administered as asub-provincial city including 7 districts, 1 county and 2 county-level cities. According to the 2010 census of China, Changchun had a total population of 7,674,439 under its jurisdiction. The city's urbanized (or metro) area, including 5 districts and 4 development areas, had a population of 3,815,270 in 2010 as Shuangyang and Jiutai districts are not urbanized yet. Longo Brothers Fruit Markets Inc., commonly known as just Longo's, is a family-run grocery chain in the Greater Toronto Area, Ontario, Canada. Longo's owns and operates 28 stores in the Greater Toronto Area, with more openings planned in the future. Most recently, a 48,000-square-foot (4,500 m2) flagship store was opened in Maple Leaf Square in Downtown Toronto. A new Longo's store opened in Mississauga on February 26, 2015. ​In 2004, Longo's acquired online grocery retailer Grocery Gateway, providing Longo's with the largest online grocery retail presence in Canada. The stores carry a variety of goods, but the vast majority of space is devoted to groceries and about a third of each store is set aside for electronics, housewares, and clothing. Items in the latter two categories are mainly from Loblaw's private labels, such as President's Choice, Life at Home, or Joe Fresh. As with many Loblaw stores, they offer corporate-branded services such as PhotoLab photo finishing and DrugStore pharmacies. Many outlets also boast a GoodLife Fitness club, drive-through pharmacies, gas bars, photo studios, community rooms, as well as walk-in medical clinics managed by Primacy Medical. Loblaws is a supermarket chain with over 2000 stores in Canada, headquartered in Brampton, with stores in British Columbia, Ontario and Quebec. Loblaws is a division of Loblaw Companies Limited, Canada's largest food distributor. 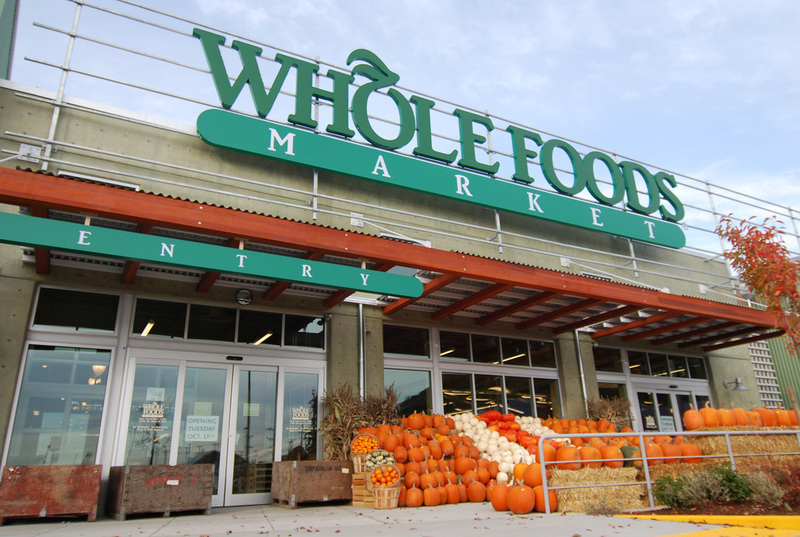 America’s Healthiest Grocery Store™Who are we? Well, we seek out the finest natural and organic foods available, maintain the strictest quality standards in the industry, and have an unshakeable commitment to sustainable agriculture. Add to that the excitement and fun we bring to shopping for groceries, and you start to get a sense of what we’re all about. Oh yeah, we’re a mission-driven company too. T&T Supermarket (simplified Chinese: 大统华超级市场; traditional Chinese: 大統華超級市場) is an Asian-Canadian supermarket chain which sells primarily Taiwanese, Chinese, and other Asian foods. 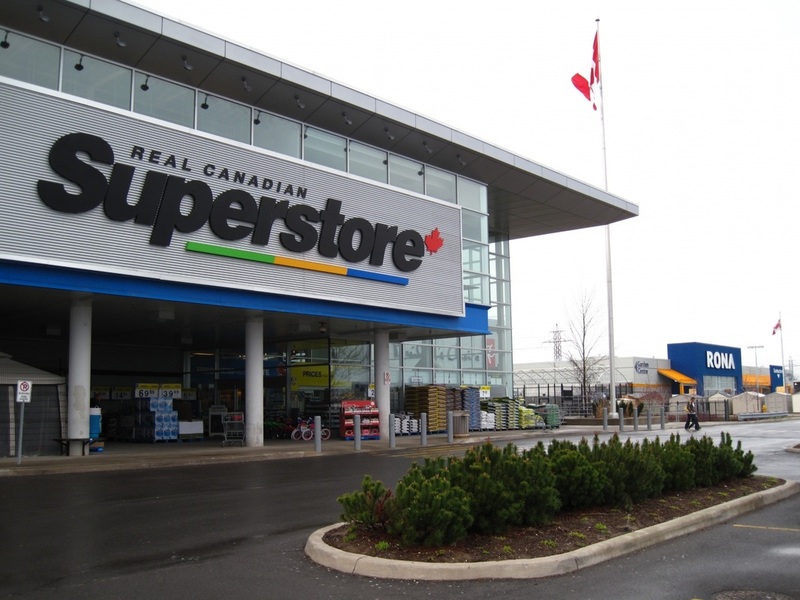 T & T is now Canada's largest Asian supermarket chain. Shopping at T & T is like taking a journey through parts of Asia where one finds fresh mangoes from the Philippines, crispy snacks from Japan, sauces from Hong Kong, noodles from Taiwan, spices from Thailand and a variety of flavours from China and other Asian countries. A favourite stop among shoppers at T & T is the seafood department where fresh fish, shrimps and crabs swim in large holding tanks waiting to be chosen by discerning customers. Other exciting finds include the giant elephant clam (Geoduck) with its long trunk, lobster and Alaskan king crab, all gleaming and delectable. We offer our customer a comfortable and tidy environment. The great quaility of products, the competitive price and the convenience keeps our customers satisfied.In the history of Bestco Food Mart we've tried our best to provide multi-type of products in order to fulfill the multi-need of Canadian multi-cultrue environment. In our store, customers can find many different type of vegitable, fruit, seafood, fresh meat and house supply. We specially concentrate on the need of customers from India, Pakestan, Sri Lanka, Philippines, China, Japan, South Korea, Middle West Asia, Europe and the United States. 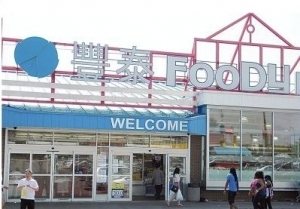 Founded in 2001, having gone through years of hard work, Foodymart has become a major supermarket chain in Toronto, one of the most successful Chinese enterprises that is headquartered in the most prosperous, most economically-developed city in Canada. As a comprehensive supermarket, the retail space should typically measure 60,000 square metres and possess wide and brightly-lit shopping aisles, to provide a spacious, comfortable, and refreshing shopping environment for its customers. Pleasing colours and an attractive aroma of fresh food fill the entire supermarket. With ten different departments and tens of thousands of varieties of merchandise, combined with its organized, easy-to-find displays and shelves in various sections and aisles throughout the store, Foodymart offers a convenient one-stop shopping experience sure to satisfy consumers' every need. Sunny Supermarket offers fresh and imported foods from all over the world. We pick the best quality vegetables, meats, poultry, cheeses, groceries, snacks and spices that each country has to offer. Our quality assurance and stringent sourcing standards mean that our customers have confidence in all our products. We prepare and display these products in attractive, clean and safe surroundings. The dedication of our buyers, sales staff and researchers builds customer trust and confidence. To appeal to the home cook and food lover, Sunny Supermarket supplies the very best in fresh fruit and vegetables, seafood, meat, poultry, spices, fine wines, health foods and snacks. We have a wide selection of environmentally responsible products and are committed to sustainable practices wherever possible. Customers are assured of quality at all times, thanks to our high safety standards.